On this 'Black Friday' there are many shoppers out there looking for killer deals. We drove by Best Buy Thanksgiving day at 2PM and there was already a line of shoppers waiting for the store to open at midnight! Although we are now season pass holders at Saddleback, we still like to visit other mountains. With lift tickets pushing $80 at some mountains in Maine it gets scary when the family income needs to put everyone on the mountain! Typically resorts will bundle lift tickets with lodging which can save money overall, but this blog entry is aimed at the day-tripper family. 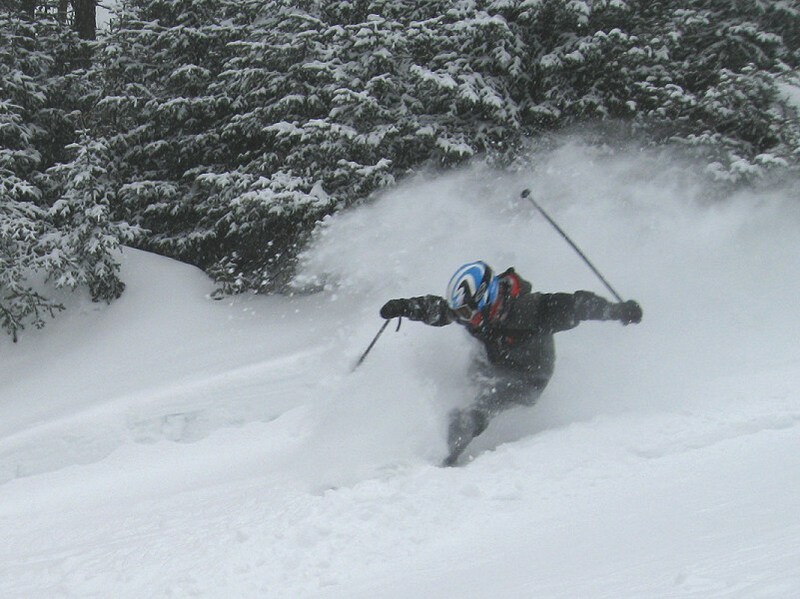 Here are some lift ticket money savings strategies you can use in 2011-12. Winterkids - Winterkids is a great Maine based organization that does many things to get kids and families outside in the winter. One program is the Winterkids Passport. For a small $25 fee, any Maine 5th, 6th or 7th grader can get 2 tickets to all the ski alpine mountains in Maine along with tickets to tubing, cross country and ice skating rinks. To use the passport ticket an adult ticket purchase is required, but often there are deals for siblings. It is a huge money saver and a great way to visit many ski areas in Maine. It is a no-brainer - use it once and you have already made back your passport fee. Liftopia - Liftopia offers a pre-purchase program for lift tickets at ski mountains nationwide. It appears that more Maine mountains are joining in with this program and you can even rent the entire Mt.Abram or Camden Snow Bowl for the day. A ski area will put an allotment of tickets on the site, and the buyer can pre-purchase tickets for a specific day. The catch is no refunds! If there is bad weather or someone gets sick, you can't swap to a different day or get your money back. However, because you are pre-buying for a specific day you can save some significant money. We usually check the long-range forecast an try to buy 2-4 days ahead. Ski Maine - The Ski Maine trade association sells ticket booklets with coupons for lift tickets at Maine ski mountains. This used to be an awesome deal and could be used as the adult purchase for the Winterkids program. The prices have gone up significantly in the past couple of years but it is still a pretty good deal at $450 where you get two tickets to each mountain. Once you use 6 tickets or so you have got your money back which is a good option if you plan on skiing a bunch of different mountains in Maine. They also have a 1 coupon book for $250. Ski Maine also has a deals page on their website that is good to keep an eye on. If you plan on skiing a Saturday or on a holiday vacation week - expect to pay full price most of the time. Mid-week visits typically yield greater discounts. If you scour each resorts website there are some specific deals to be had. Here is what I can find. If your child is on the honor roll and you plan to visit Saddleback more than 2 times, get a PEAK season pass. At $99 for Maine residents ($149 out of state) it quickly pays off. Saddleback was offering a bundle of 7 tickets for $299 but that has sold-out. Keep an eye on their website for more deals. Sugarloaf offers a frequent skier card that can pay off after 2-3 visits. 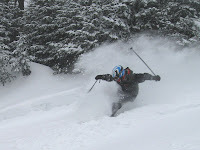 It is also good at Sunday River and Loon. This is something we have picked up as we ski Sugarloaf a handful of times each year. Sugarloaf offers a bunch of deals for Maine residents. We particularly like the family Sunday's in January ($39 a ticket!). Mt. Abram offers carload Fridays where all belted passengers get in for one price of $75. They offer this and many different ticket combinations at their on-line store. Like Sugarloaf, Sunday River also offers the frequent skier card. The best thing to do with Shawnee is to sign up for their Email club and get notifications of their Online only deals. Every Monday they send out a new deal to save money on lift tickets. Shawnee also offers deals on different days of the week from Monday carload days to Sunday afternoon specials. See this page on their website for all the details. The other smaller mountains in Maine are less aggressive on ticket promotions since they already have lower prices when compared to the bigger resorts. However, keep an eye on their websites for deals. Here is a blog post detailing most of the smaller ski areas in Maine with direct links to their websites. Happy skiing and I hope this post is helpful in saving your family some money! Feel free to comment below if you have other lift ticket money saving strategies.